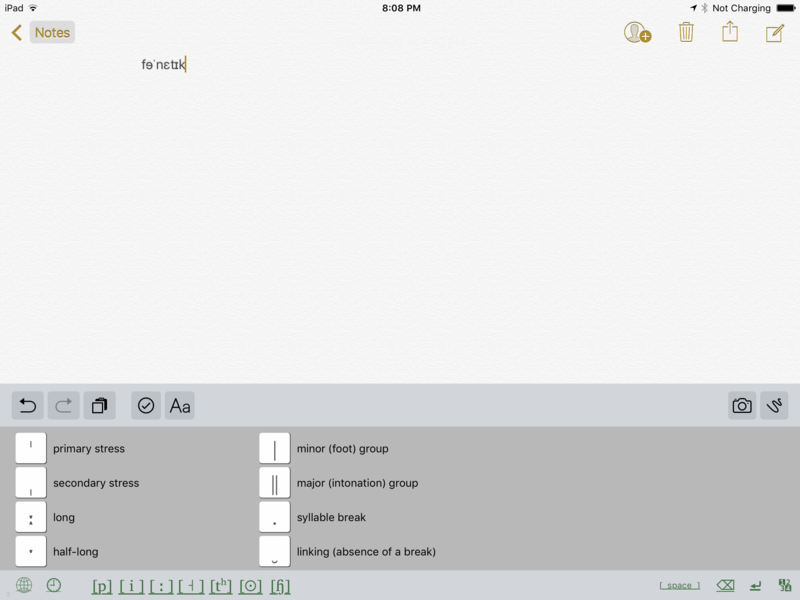 The International Phonetic Alphabet—how can we live without it? How else can you record the pronunciation of a language with no writing system, or learn how to sing a song in a language you don't speak? How do you put a phonetic transcription into that Facebook post the world is waiting for? But inserting IPA symbols isn't easy without help. IPAChartBoard is for you! 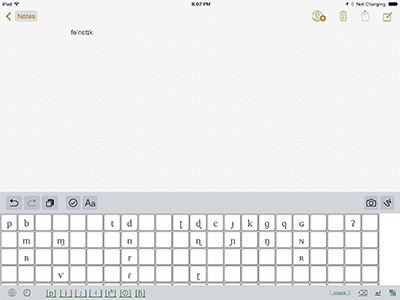 IPAChartBoard is a system keyboard, so you can use it with any iOS app! IPAChartBoard puts the seven official IPA charts at your fingertips. Phonetic detail was never so easy! 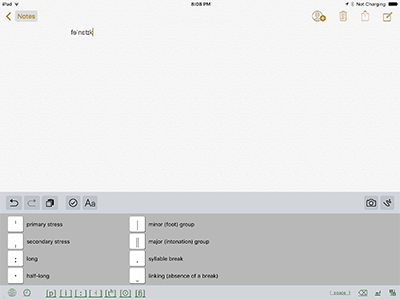 Like other iOS third-party keyboards, IPAChartBoard comes to your device in a carrying app, in this case IPAChartApp. Once you've installed IPAChartApp on your device, you install the keyboard through System Settings. (The app will remind you how to do this.) 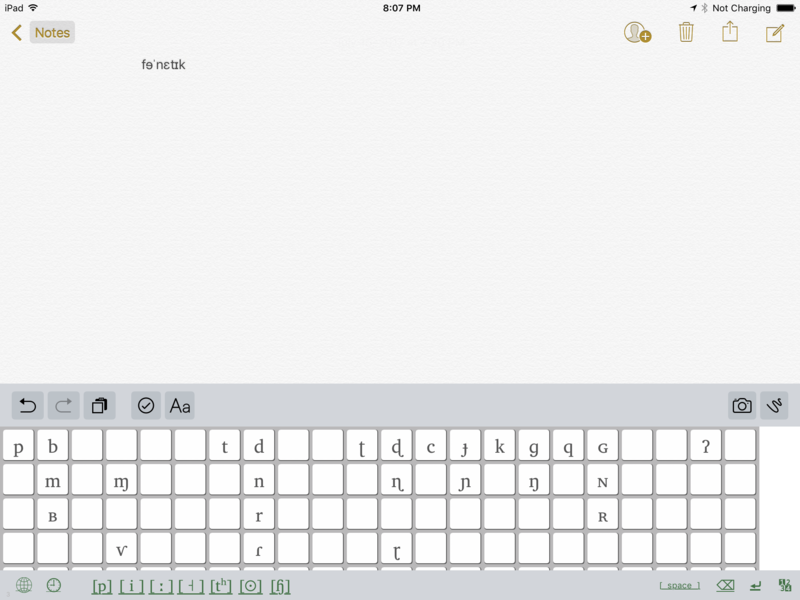 Then IPAChartBoard keyboard is available for use with any app on your device. From your default system keyboard, you switch to the IPAChartBoard by tapping the key, as you would to use any other system keyboard. Tap the thumbnails. The charts scroll! ...and the charts for diacritics, non-pulmonic consonants, tones, and other symbols. In an app, to switch to IPAChartBoard, press and hold the globe symbol. Please contact us at ipachart[*at*]tyndalesoft[*dot*]com. 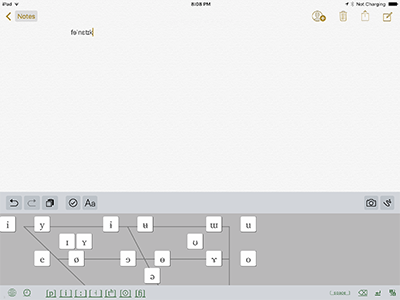 CharisSIL, a complete IPA font implementation, used for the keys in IPAChartBoard. Its generous license provisions are here. 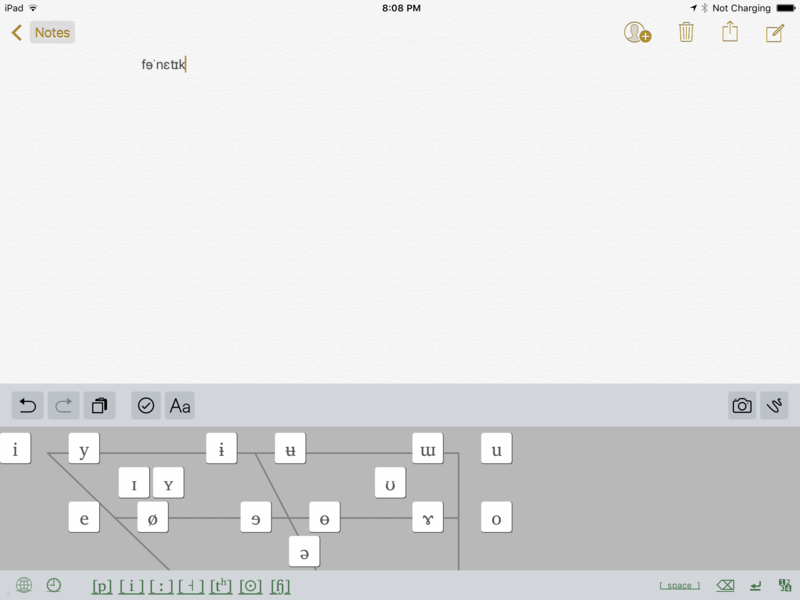 A handy web-based IPA "keyboard"